Greetings everyone and welcome to the March bulletin. We have moved from our freedom-loving and independent Aquarius to the sign that is connected with a world of imagination and fantasy – Pisces. Last year we talked about Imagination and how many creative people fall under the sign of Pisces, one of whom you will encounter in this month’s ChatterQuote. Pisces is the last of the three water signs and water is connected with your imagination. So then what should our theme be this time around? One of Pisces most admirable qualities is their ability to be compassionate towards their fellow man – simply put – they accept everyone because they are not biased. And by the time we have traveled around the entire zodiac, Pisces has accumulated the knowledge from all of the eleven signs that came before them and is now spiritually ready to ascend back up to the heavens. 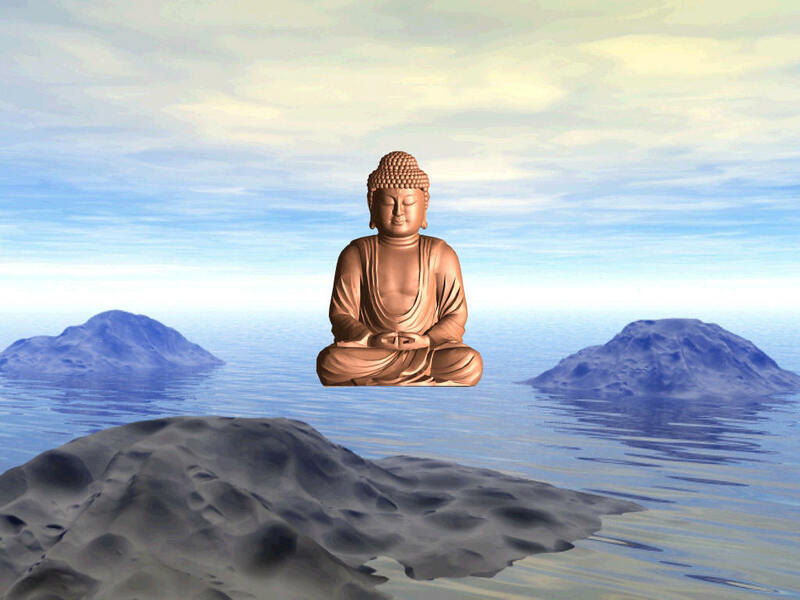 So our theme this month is the ultimate spiritual quest, that of Faith. Without Faith, honestly what do we have? An emptiness inside and a deep need or longing to seek out the truth, or anything that can perhaps quell the inner demons and make sense of our pain. We need Faith to move forward in our lives, trusting that the higher powers will take care of us. All we have to do is acknowledge them. Why do so many people take yoga classes for example? Because here in the western societies we are not really taught to look within from a young age, not in the same way many of the eastern cultures do. And if we are not taught to look within, then we may end up spending our lives mistakenly looking for the answers outside of ourselves. Someone asked my teacher recently what his definition of God is, and he said, “God is within.” This is something that many of us have perhaps forgotten or been steered away from, myself included. 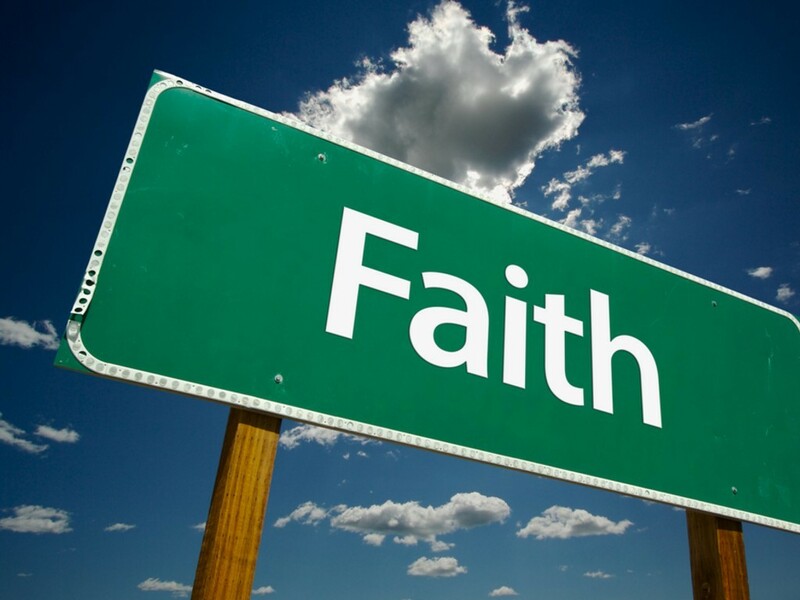 If you look up the word Faith in the dictionary one of the definitions you will find is to have belief or trust in someone or something. And with religion we are being asked to “Trust in God” and to have faith that he will take care of us. Many of you will have heard of the phrase “Keep the Faith” in which we must not despair regardless of what may indeed happen to us. Sometimes this is a challenging notion, to trust that everything will turn out all right, even when things aren’t going so well. We’ve all felt it. 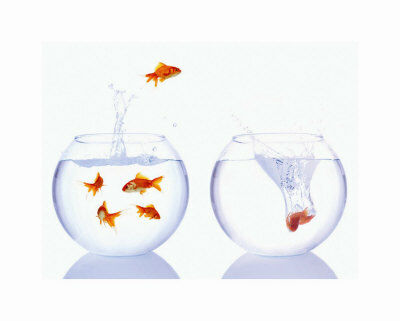 Another common expression is to take a “Leap of Faith” again asking that we place our trust in the unknown. We have to, because we can never know everything anyway. I even found this illustration of a fish taking a giant leap of faith as he dared to jump from one bowl to the other – how perfect is that for our theme of Pisces, the Fish this month? To be honest, I didn’t grow up with a whole lot of Faith. I remember the very day that I decided that God was clearly not on my side after I had repeatedly prayed to him for our family to buy and move into this wonderful house our father had shown us, deep in the woods of the New Forest. He had surveyed the property for a client and was tempted to buy it himself, but in the end, we stayed put and I was crushed. How could God (and my father) let me down like this? And thus my personal suspicions and doubts about who and what God and religion was exactly began. I knew there was something very powerful out there that we “mere mortals” needed to acknowledge, but what was presented to me as a child didn’t feel quite right, so I wasn’t buying it. Besides, if “God is within” then why are we told to follow all these rules, go to church on Sundays, or pray five times a day facing a particular direction? Surely church is anywhere that God is present, and God is everywhere. Why is one religion more accurate than another? And from where I stood, each religion appeared to think that they were right. My sister also had her own doubts, especially after she asked her teacher at school one day “Why don’t we learn about other religions from around the world?” Her question was immediately dismissed and ignored – apparently, they weren’t important! Such narrow-mindedness got our suspicions going even back then. And isn’t it ironic, in a way, that if you examine the 5 major religions of the world, Christianity, Judaism, Islam, Hindu and Buddhism, although there are naturally some fundamental differences between these “faiths” and cultures around the globe – there are also certain similarities to be found, because at the end of the day, whatever you want to call him, God the Almighty, or his prophets, Jesus Christ, Buddha, or Muhammad – we are all talking about a powerful spiritual deity that is beyond mere mortal man’s own limited knowledge, power and comprehension. I did not grow up in a particularly religious household, but my sister and I did attend a religious school, not necessarily because of the religious aspect, but according to my parents, it was the best choice of school in the area. Our family went to church on Christmas and Easter but I wouldn’t say that we were given a particularly strong spiritual structure growing up – the spiritual connection for us came more from a closeness and connection with nature and the earth. That’s how it was for me in England, anyway. As in all religions, there is some sort of a “coming of age” ceremony when the child leaves puberty for adolescence. And for us it was expected that we would be “confirmed” at a certain age, much like the Catholic First Communion. However, by the time my sister and I got to that point, we felt strongly enough to actually refuse to be confirmed because we didn’t believe in it. Naturally, this didn’t go down too well with our parents or the teachers, but I am proud that even at that young age, we were smart enough to say “no” to something that wasn’t right for us, no matter what anyone else said. We may not have had much guidance, but neither were we forced into a faith not of our own choosing, as many children are. For them, there is no choice and I honestly find this quite fascinating, sad and strange all at the same time. In closing I wanted to touch once more on Imagination, and our Pisces who likes to live in a fantasy world. This is why so many of them are in the film and television industries. 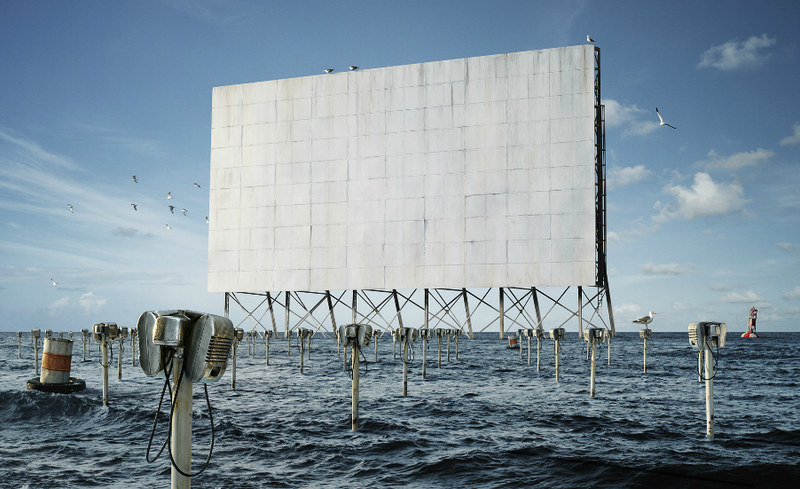 And also because when I saw this particular image on Glen Wexler’s website, I thought it was such a wonderful combination of the watery Pisces and a tribute to the drive-in movie era. But how many of your know for instance that the Oscars which aired on February 26th just recently took place right after we had entered in to the sign of Pisces? Interesting, eh? 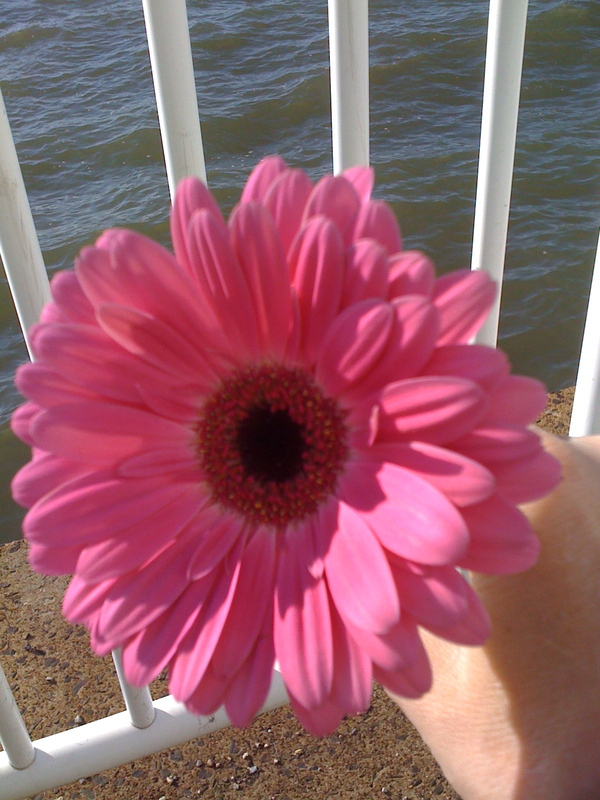 It’s hard to believe that it’s been three years now since my mum died, and last weekend I took a walk by the river and tossed a beautiful pink Gerbera daisy into the water for her. So in her honor we are sending this month’s bulletin out on the anniversary of her funeral, which was March 13th. 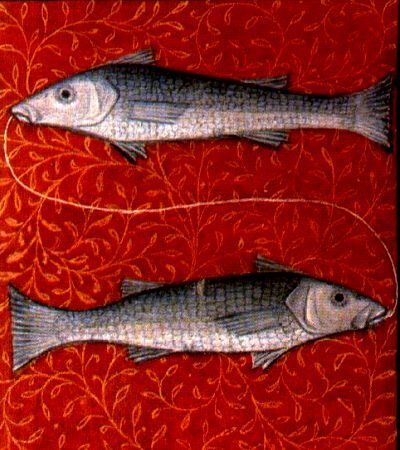 So while we’re at it, wishing all you Pisces out there a Very Happy Birthday!